Cruise Line Industry Association (CLIA) Australasia announced today that Primary Communication will deliver its public relations and advocacy communication services. Primary Communication will provide an integrated public relations framework to support CLIA Australasia’s role as the cruise industry trade association, and to raise awareness of the industry in the media, social media and across governments. With over 25 million passengers globally expected to cruise in 2017, the sector is one of the fastest growing segments of the tourism industry. 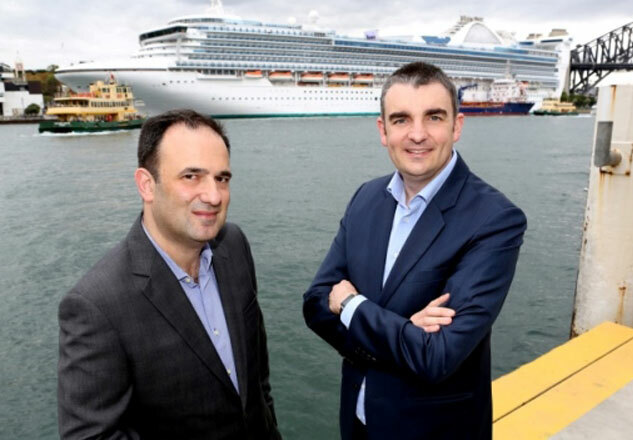 Primary will work to reinforce CLIA Australasia as the voice of the cruise industry in the Australasian market. CLIA Australasia is the latest industry association and peak groups to work with Primary Communication. Some of Primary’s industry association experience includes: ACPET (Australian Council for Private Education and Training), Consulting Surveyors of NSW, National Catholic Education Commission, Mental Health Council of Australia, Australian Liquid Petroleum Gas Association, FARE (Foundation for Alcohol Research and Education), Council of International Students Australia, Council of Australian University Librarians, Chiropractors Association of Australia and the Australian Information Security Association. Primary Communication’s CEO, Chris Hall said: “We are excited to be working with CLIA Australasia on their PR and government advocacy program. With strong growth in both the domestic and international market, and over one million Australians and New Zealanders cruising annually, we are really looking forward to building CLIA’s reputation and influence within Australasia. 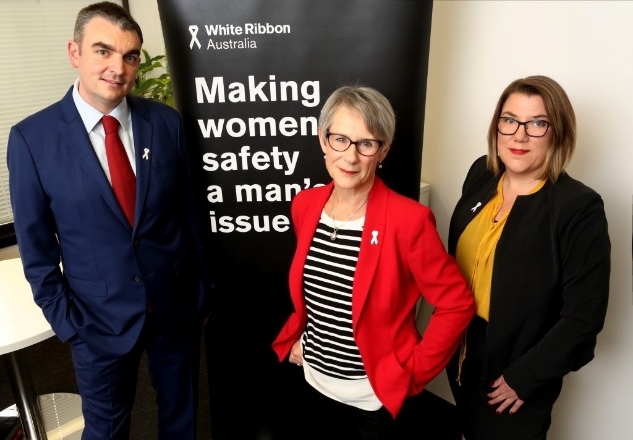 White Ribbon Australia announced a major new partnership with Primary Communication to deliver violence prevention campaigns and reduce the alarming levels of violence towards women in Australia. “We welcome Primary Communication on board to work with us on continuing to focus White Ribbon’s voice, enhancing our advocacy and prevention work and supporting men’s engagement to take action to stop men’s violence against women.” said White Ribbon Australia CEO, Libby Davies. Primary Communication will provide an integrated communication framework to raise awareness of White Ribbon and its extensive grassroots programs across workplaces, schools and communities. The fact that in Australia, over a twelve month period, one woman is killed every week as a result of intimate partner violence, and one in three women have experienced physical and/or sexual violence by someone they know must be changed. Primary will drive a whole of community campaign approach to build engagement with men, boys, government leaders and key community stakeholders. White Ribbon Australia is the latest addition to Primary Communication’s social issues portfolio which includes the Butterfly Foundation, ReachOut, Young and Well CRC, Mental Health Australia, Mental Health Commission NSW, Hunter Institute of Mental Health, and the Australian Human Rights Commission. April is off to a great start, with our corporate team welcoming a new partnership with power management company Eaton after being appointed their PR consultancy in Australia and New Zealand. With the future of Australia’s energy taking centre-stage with State and Territory Governments and the Federal Government alike, Eaton’s expertise and insight will provide guidance to industry and government’s during key decision making. Eaton’s services focus on power distribution and power quality. Every day around the globe, Eaton and its people are making power operate more efficiently, effectively, safely and sustainably – from keeping whole cities powered, to giving hospitals the power infrastructure they need to improve critical patient care. With more than 26 years’ experience working across the fields of technology and energy, Primary is uniquely placed to provide support for Eaton’s goals, partnering with their leadership team to achieve a variety of positive outcomes. On behalf of everyone at Primary Communication, we would like to welcome Eaton to Primary – together we have great things planned for 2017 and beyond. Bring out your inner artist and be a Brigade Kids Champion! Children are often unaware that a tiny flame can grow into a dangerous fire. 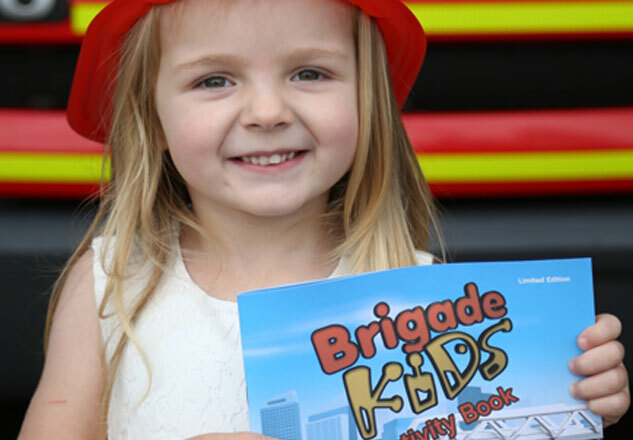 So that’s why Fire & Rescue NSW is encouraging families in NSW to talk about fire safety – and what better way to help promote fire safety amongst young kids than with the Brigade Kids Champion Competition, which kicks off today! Primary Communication is a proud supporter of the Brigade Kids Champion Competition and the account team will play an instrumental role in promoting this important state-wide competition to kids, schools and families in NSW. All entrants will have the chance to win some great prizes, including an Xbox Minecraft Package for the overall winner and LEGO City Prize Packs for the category winners and runners up (one for each age group) and many more. There are also prize packs from Scholastic for the winning schools. Qualified submissions will be shortlisted by an extraordinary panel of judges from the crew at Hi-5 to representatives at Lego, NSW Department of Education, Catholic Education Commission NSW, Association of Independent Schools of NSW, NSW Teachers Federation, Westmead Children’s Hospital- Burns Unit, Scholastic and Fire & Rescue NSW. Entries will be judged based on creativity, authenticity, effort and ability to reflect the fire safety messages. 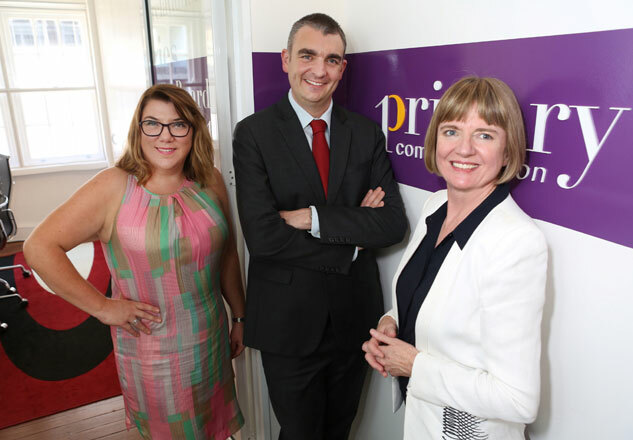 Primary Communication has bolstered its leadership with the announcement of Chris Hall as Chief Executive Officer and the promotion of General Manager and current PRIA National President Jenny Muir to Chief Counsel. Primary’s Chairman and Founder, Ms Annabelle Warren said, “Today I welcomed Chris to the helm of Primary Communication as the consultancy expands across three divisions; corporate, social policy and community engagement. Chris and Jenny will support our superb account directors delivering extraordinary long term campaigns and new business projects. Chris returns to Primary after becoming the longest serving NSW Chief of Staff in the current Liberal Party era. Having worked at Primary until 2010, Chris took on the role of Government Relations Director at the NSW Minerals Council during the 2010 mining super tax debate. Following that, he joined Barry O’Farrell’s campaign team as Battleground Director for eight marginal seats (of which the Liberal Party won seven). Since then Chris has been a Chief of Staff to three different ministers across diverse portfolios. Mr Hall said, “The experience I gained as a Chief of Staff across the portfolios of Sport, Fair Trading, Police, Emergency Services, Western Sydney, Trade, Tourism and Major Events over the past six years has set me up with a unique perspective to offer clients strategic and operational communication advice. Primary is already well known as a specialist advocacy service, and we will build the government relations and political strategy offering for a number of major clients. “I am looking forward to working with the team on an already incredibly strong business model which delivers senior staff to drive outcomes for clients in manufacturing, engineering, energy, health, education, technology and government services. Ms Warren also welcomed Jenny Muir’s promotion to replace her as Chief Counsel saying, “Jenny is our most senior team member and her experience in developing and delivering strategic communication campaigns is unparalleled. Jenny has been a key member of the Primary Communication team since 2007 and has been serving as the PRIA National President since her election in 2016. “The new structure reflects our dynamic team to lead Primary Communication into the future and to continue to provide the high quality personalised service that our clients have come to know and expect,” Ms Warren concluded.